White Russet™ potatoes are a result of a modern plant technology we have termed “Innate™” because it utilizes genes from wild and cultivated potatoes. 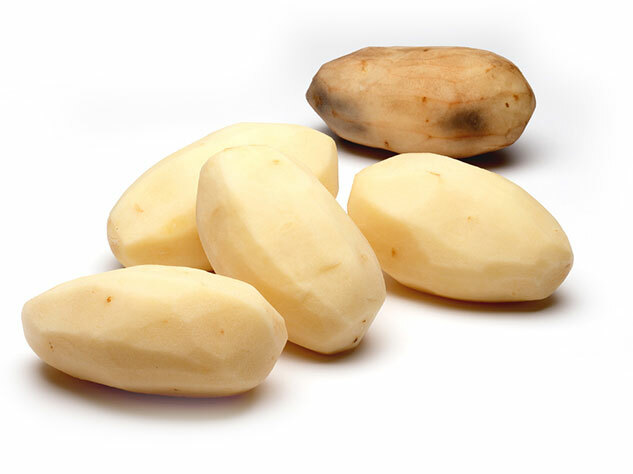 White Russet™ potatoes have the potential to increase the food supply by reducing potato waste resulting from bruising and black spots, which is estimated to be hundreds of millions of pounds each year. With greater utilization rates, farmers have the opportunity to grow potatoes on less land, which has the potential to reduce the amount of water, energy and pesticides applied to the crop. 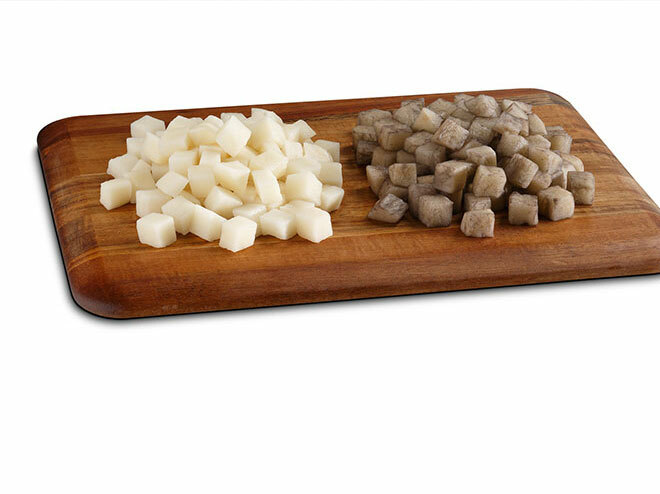 White Russet™ potatoes next to conventional Russet potatoes 30 minutes after preparation. Actual results may vary. To create the new White Russet, we improved specific traits using the potato’s own native genes and proven biotechnology. In developing the White Russet™, proven techniques of modern biotechnology and the potato’s own natural cellular processes were used to accelerate traditional breeding. This technology, termed "Innate™", was developed by the J.R. Simplot Company, a company that has grown and processed potatoes for more than 85 years. Our breeding process involved improving specific traits. Two potato enzymes were reduced -- one that leads to asparagine reduction and another that makes the potatoes less susceptible to damage from black spot bruising caused by impact and pressure during harvest and storage. More information about the technology is available here. 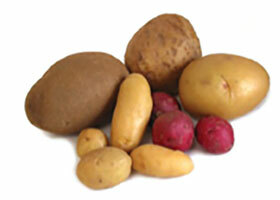 The result is a better potato, proudly raised by trusted growers in the heart of Russet potato country.